But despite the smb daemon seeming to be up and running, the checkbox is still unchecked, as if something is missing. 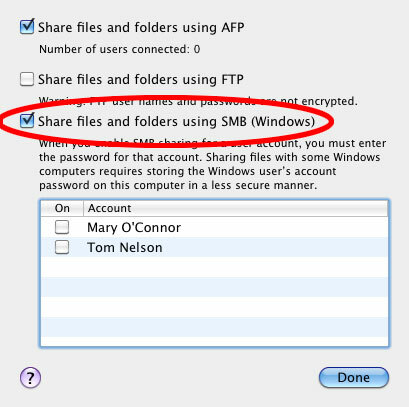 The same command works, as an example, for screen sharing (com.apple.screensharing.plist) and even for AFP (com.apple.AppleFileServer.plist), only SMB seem to suffer from this problem. For others who might be having this same issue with a different root cause, I found that somehow my com.apple.smbd.plist file had gotten corrupt. You can check this with cat /System/Library/LaunchDaemons/com.apple.smbd.plist. It should appear to be plain text, but if you see a bunch of weird characters, it's probably corrupt. I simply deleted the file [and after realizing it did not get recreated on reboot] copied my com.apple.smbd.plist from another Mac into /System/Library/LaunchDaemons/. Then I checked the checkbox (or alternately, you could run sudo launchctl load -w /System/Library/LaunchDaemons/com.apple.smbd.plist), and then rebooted. Problem solved. Same issue, different root cause. Edit: You should also verify permissions on com.apple.smbd.plist and com.apple.AppleFileServer.plist, especially if copying from a different computer. I discovered that my com.apple.AppleFileSharing.plist file had 777 permission, which was causing it not to load. Not the answer you're looking for? Browse other questions tagged terminal launchd smb plist daemons .